Why is Preschool Important before Full-day Kindergarten? Why Preschool Is Important – With the recent introduction of full-day kindergarten in Ontario, there is an even bigger need for children to prepare for entry into the school system. With the reality of large classrooms, overworked educators and a large child-educator ratio, children need to come prepared. The best way to prepare for Kindergarten is to expose children to an environment that is very similar to the classroom but offers more support and assistance – that is – preschool! Statistics show that children who attend high-quality preschool enter kindergarten with better pre-reading skills, richer vocabularies, and stronger basic math skills than those who do not. Many would agree that children should be exposed to some sort of group experience before starting Kindergarten. Although sports or music classes are great, they don’t teach what preschool teaches – that is – how to be a student. At preschool, your child will learn how to take turns, separate from the caregiver, and share the teacher’s attention. All of this makes for an easier transition to kindergarten. Kindergarten teachers will tell you that the students who are ready to learn are those who come into school with good social and behaviour-management skills that they learned in preschool. At Alpha’s Preschool Academy, many of our stay-at-home parents tell us that they attend our preschool in order to give their child an edge before entering the school system. We work on strengthening socialization skills — how to compromise, be respectful of others, and problem solve, how to make decisions and we encourage independence. Kids in preschool discover that they are capable and can do things for themselves — from small tasks like pouring their own juice to tackling bigger issues like making decisions about how to spend their free time. We focus on our core subjects like language, math, science and french by learning through exploration, experimentation, and conversation. 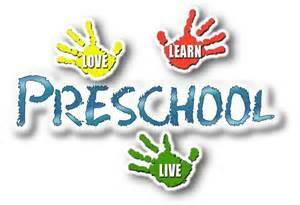 Alpha’s Preschool Academy strives to be the best Preschool programs in Mississauga offering many flexible and affordable programs to meet the needs of busy parents. From full-day to half-day programs as well as the Nursery School program, children can attend from 2-5 days per week.